What are fees for Earners? We'll break down how we calculate offer rates to give you clarity on how fees work. How much does Purse charge? Purse’s wallet to send, receive and store digital currency is free. Network transaction fees apply. 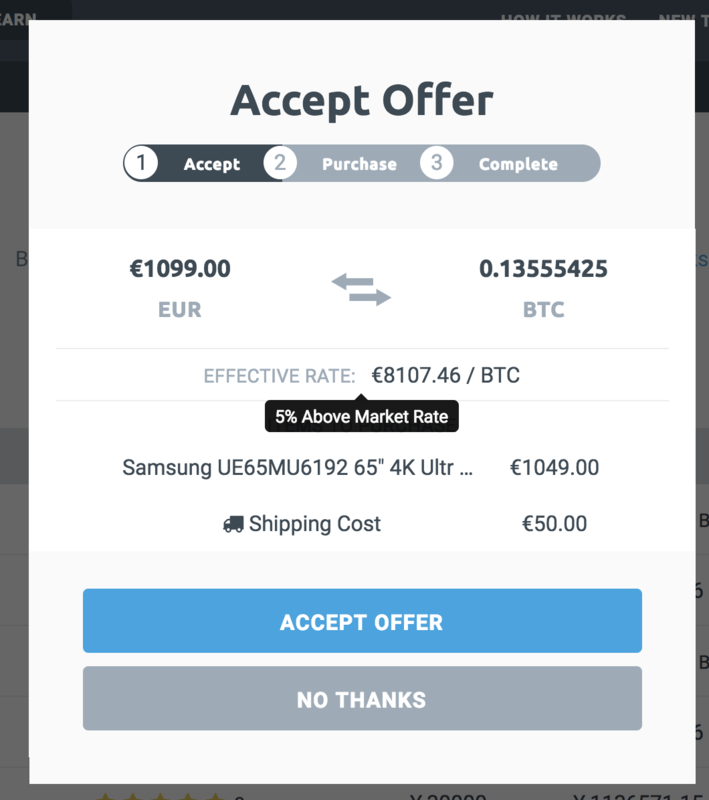 What's unique about Earning on Purse is you will select an offer to purchase in exchange for Bitcoin. The rate for each order varies. In the Earn section of Purse you will find an order book. All the offers are organized by rate. This is the '% above market rate' you will pay for the Bitcoin if you decide to purchase the order. The orders are organized by this rate, and the best offers float to the top. You can see the effective rate for the offer when you click into it. Hover over the effective rate. This "Earner" effective rate is calculated as the inverse of the discount rate the shopper has requested. For example, a shopper discount of 20% equals a earner markup of 25%, e.g. 1/(1-0.2) = 1.25. This percentage above or below market rate is fixed, but the rate will fluctuate based on the value of the asset at that time, and will be locked in as soon as you accept the offer. We do not charge any fees on top of this effective rate for Earners. We do collect a small fee from the Shopper for the order, which is accounted for in the effective rate.